Almost everyone uses some form of social media these days. To place into perspective just how common social media usage is, a whopping 68 percent of Americans reported utilizing Facebook in 2018. And we all know that this is far from the only form of social media that has gained popularity in recent years. Because social media is something that has become so common these days, the fact that people over-share on social media is no surprise to any of its users. You have likely seen a post that contains an inappropriate photo or that spotlighted way more than you wanted to know about someone’s baby’s first solid food. You have probably also seen a post where someone was divulging details about a recent car accident including either placing blame or accepting fault. While some social media over-sharing posts can result in, at worst, the annoyance of your followers, others have the ability to affect your life in ways you probably never thought of. In reality, your social media posts can prevent you from being able to prevail on your personal injury claim. What Does My Social Media Have to Do With My Claim? As Florida is a no-fault state, you can be attempting to obtain compensation from your own insurance company or another driver’s. Regardless, when you attempt to pursue compensation from an insurance company, you should understand that the company will probably research and access your social media accounts for evidence it can use against you. While this may seem excessive, keep in mind that some people fake injuries. And even if a claim is completely legitimate, the other driver’s insurance company would prefer to pay you the least amount of money possible. You should not help the company with this by making common social media mistakes. What Are Common Social Media Mistakes That People Make After an Accident? Images. Even if you think that the picture that you are posting is innocent, Even if your injury was minor, visible evidence of certain behavior will not look good when it is contrary to your claim. Words. If you feel the need to vent, find a person to vent to in real life. Unfortunately, it can be just as easy for the other driver’s insurance company to find your post and later use it against you, especially because you are less likely to think before posting if you are upset. What Can I Do to Prepare My Online Presence After an Accident? Delete anything that could be incriminating. Anything that makes you look bad or discredits your account of the accident needs to go. Increase your privacy settings. Immediately make private any social media account that is currently public and don’t accept any new friend requests from people you don’t know. Cut back on how much you log on. Attempt to minimize your usage as much as possible above all, never post anything related to your injuries or claim. Consider taking a hiatus from social media altogether. While it may seem extreme, this is the best way to ensure that you don’t accidentally post something questionable. We Can Help You Ensure That You Don’t Post Someone You Will Later Regret. If you are concerned that you have posted something that you shouldn’t have on a social media account, you need legal help as soon as possible. 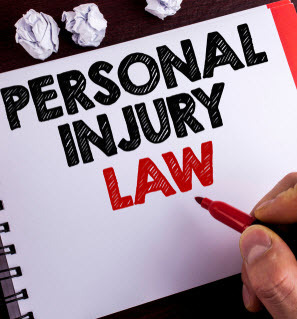 The Florida personal injury attorneys at Leifer Law Firm have helped many injured victims manage their social media accounts and successfully pursue the compensation that they deserve. Contact us today for help and we can begin helping you sort through the social media history you are concerned about and get the money you deserve.